Johnson Inc. offers group insurance benefits to our members. It is pleased to offer insurance solutions, for home or auto, exclusively with CSP member needs in mind. Through its donation program, the CSP receives a percentage of the premiums paid by our members. 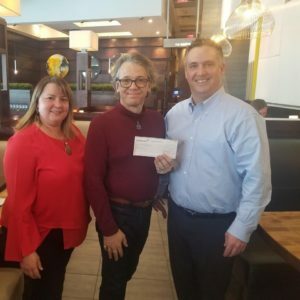 In February, CSP President and CEO Bruce Robinson (centre) was presented with a cheque for $3,413 by Lynn Nasralla and Shawn McCord from Johnson Inc.’s Ottawa office.